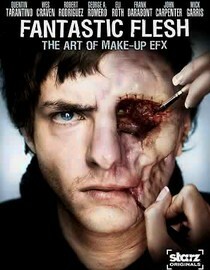 I got my copy of this cool-a$$ documentary, Starz Inside:Fantastic Flesh: The Art of Make-Up EFX, from Netflix, but you can watch it on YouTube as well, like the copy I embedded below. I love listening to these great special effects makeup artist talk about their work, who inspired them, and what’s so cool about the work of their peers. In addition, there are interviews with directors and actors about their experiences with these artist on different films. If you love special effects makeup this is a must watch!